Paris- November 10th, 2016 – Valomnia announced its partnership with MuleSoft, provider of the leading platform for building application networks. 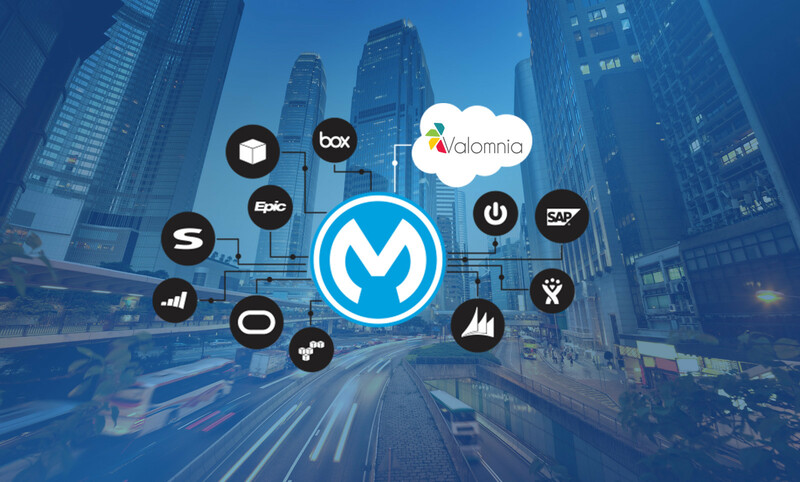 By joining the MuleSoft partner program, Valomnia will be able to shorten the process of integrating cloud and mobile solutions to customers’ information systems and to deliver customizable solutions quickly and efficiently. MuleSoft provides the leading platform for building application networks. Valomnia’s implementation expertise, coupled with MuleSoft’s technology knowledge, gives clients the support and tools they need to harness the rapidly growing number of apps and data sources. As a MuleSoft Partner, Valomnia helps clients to leverage cloud, big data & omni-channel with scale through easy and smooth integration. At Valomnia we implement Business Oriented Solutions not features. In fact, unlike classic enterprise software suppliers, that tried to mobilize their old desktop software, Valomnia started years ago from a Native Mobile Experience to reach the Mobile User Delight Experience today, providing business oriented, simple and ergonomic apps for every mobile user. Embracing Digital and Cloud has become an imperative that companies cannot ignore. By joining the MuleSoft partnership program, we look forward to continuing to develop our expertise in helping our customers and delivering smart, at scale and packaged solution. – Tahar Jarboui, CEO & Co-Founder of Valomnia. As a native mobile solution, Valomnia helps large and small companies in different industries optimize their sales and distribution processes through Mobility, Cloud, Big Data & Omni-channel. Our core team of experts has implemented a user centric & business oriented solution and is continuously improving the user experience and anticipating market’s needs in order to deliver a complete and integrated solution. A clear strategy, a cross-cultural team, and a user-centric mindset were the « right ingredients » to meet the needs of developed markets as well as emergent ones. Valomnia was able to reach clients all over the world, with AbInBev in the UK and Belgium, Juratoys and Lilikim in France, in North Africa (Tunisia & Morocco), Subsaharian Africain markets (Ivory Coast, Cameroon, Nigeria) and the Middle East (UAE, Qatar). MuleSoft’s Anypoint Platform™ is a leading solution for API-led connectivity that creates a seamless application network of apps, data, and devices, both on-premises and in the cloud. This hybrid integration platform includes iPaaS, ESB, and a unified solution for API management, design and publishing.